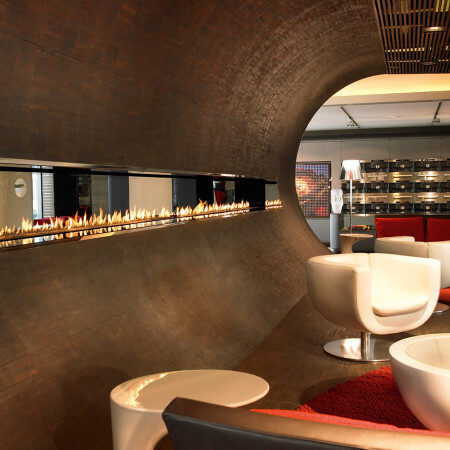 The ultimate contemporary gas fire with a seamlessly integrated 2.4m lineburner . Over this length the dancing flames are truly mesmeric and make for a stunning focal feature. When it comes to contemporary gas fires, the 2600 Linefire truly is king and can be incorporated into all kinds of spaces. To decorate the firebed, options include marble chippings, lava stones or artificial wood and coal for a more traditional feel. 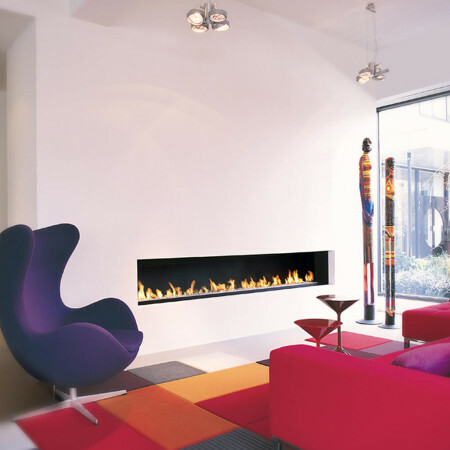 With various size burners available along with other custom options, speak to a Design Consultant to discuss how one of these amazing contemporary gas fires can be incorporated into your scheme.